Last night we attended the Chinese New Year event held at the Great Walls, High Street and what a fantastic night it was. 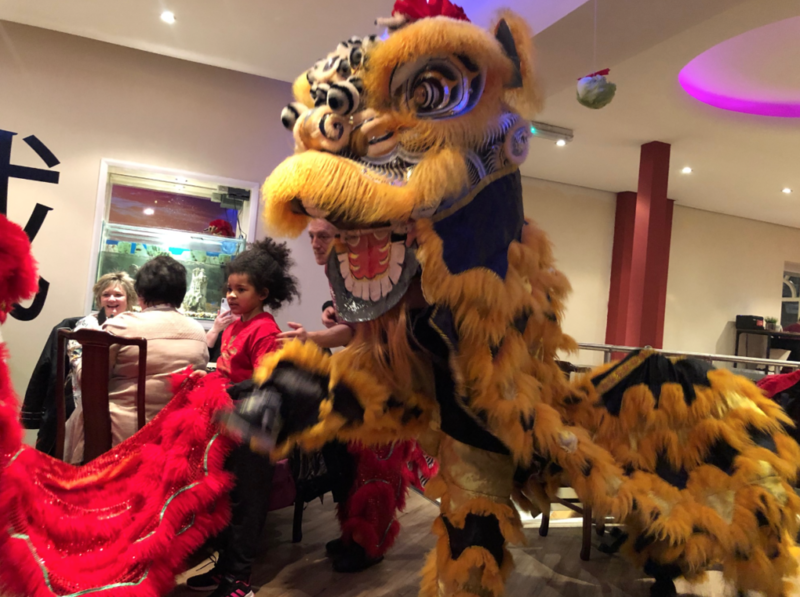 Fabulous hosting and service, great food plus the dragon dance and martial arts display were amazing. It is fantastic to see young people trying hard to improve the variety of the offering in Wrexham and 23 year old Jack LLoyd, did Wrexham proud last night. 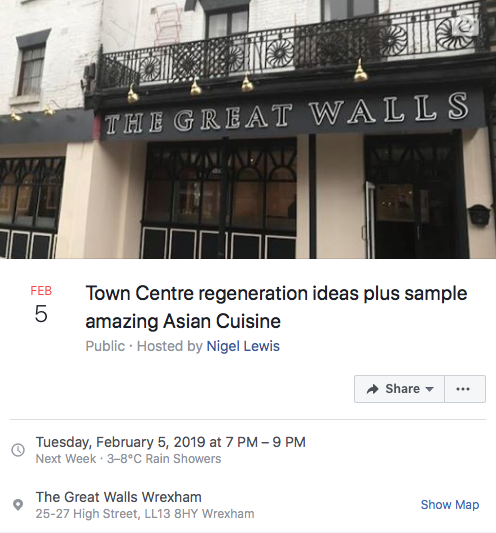 Jack is passionate about Wrexham and next Tuesday evening we are jointly hosting an informal get together with him at the Great Walls, to explore ideas to improve the town, and sample some Asian Cuisine. We have up to 100 spaces, not that we expect to fill them all, but quite a few people booked in already and many more interested. If you wish to come along please accept the invite on the following link. If you have expressed an interest and are now definitely coming please change your status from interested to going. Hope to meet some of you next Tuesday and hear you ideas. Together we can make a difference !